March 1, 2017, Chinese Health Qigong Association held 2017 Health Qigong Management Work Conference in Haikou. 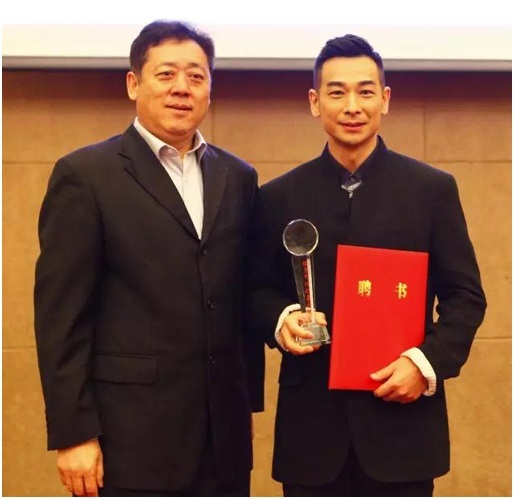 Meanwhile, Mr. Zhao Wenzhuo, famous Kung Fu star who have practiced martial arts since childhood and won the national martial arts champions many times, was employed as a Health Qigong ambassador. Zhao Wenzhi, Chinese film and television actor, martial artist. He started his film and television career from 1992, and has performed more than 30 works. With his handsome appearance, the real martial performance, hearty and generous man feeling, he is a favorite with the audience in China and abroad. "Since I started practicing martial, till now I always use Health Qigong as a kind of exercise to regulate the mind and body, a way of health cultivation. So I gladly accepted to be a Health Qigong ambassador, that this is a good thing. I am ready to lead by example, let everyone see the virtue that I practice Health Qigong, attract people to focus on Health Qigong and gradually get to know, understand, like practicing Health Qigong with my influence. I think I will be as much as possible to participate in Health Qigong activities, to record some video program that practicing Health Qigong with others and upload to the Internet, and to establish Zhao Wenzhuo Health Qigong studio to promote the healthy and orderly development of Health Qigong, to service the public fitness." Zhao Wenzuo said in the interview.